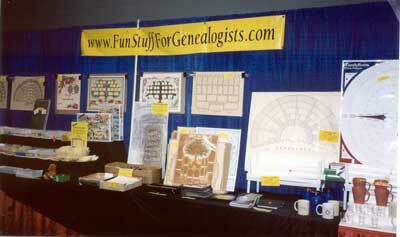 We will be more than happy to attend your genealogy, historical society or other genealogy related event if you would like to have us. 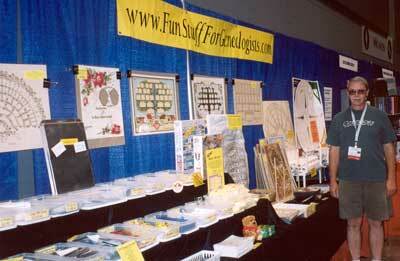 We do have a busy schedule and ask that you contact us as soon as possible. We are in South Bend, Indiana but travel a lot to seminars so don't hesitate to ask, especially if you are in the Great Lakes region. It is amazing how far we will go! Please just ask! Contact Bev Petersen for more information. 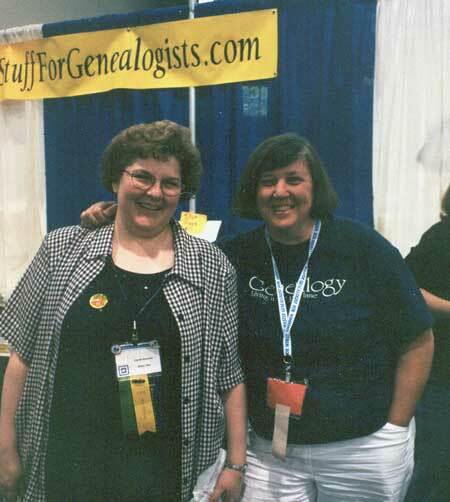 The 'famous' Cyndi Howell's of Cyndi's List and Bev at the National Genealogical Society conference in May, 2002. Milwaukee, Wisconsin. 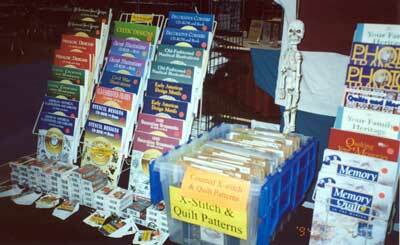 transfer patterns and books as well as playing cards! 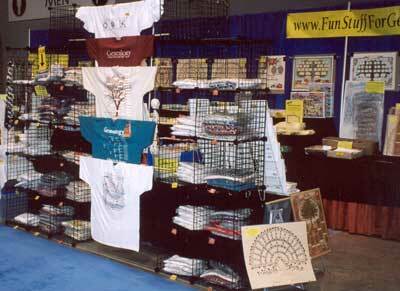 T-shirts are displayed conveniently for buyers. Sep. 2004.